Who was the first person to create this complicated process, and what lead them to think this was a good idea? Reading reviews of tenugui (手ぬぐい) I frequently see poor reviews. People complain the ends fray to much, and ask why aren’t the edges hemmed. I think they just don’t understand how to properly condition them. Several sets of 3 tenugui are available on Amazon for about $17. But tenugui made by the by chusen method are more expensive. Kiroko in Portland, Ore. has a nice selection some made by chusen method used in the above video. How to clean up the edge of Tenugui? 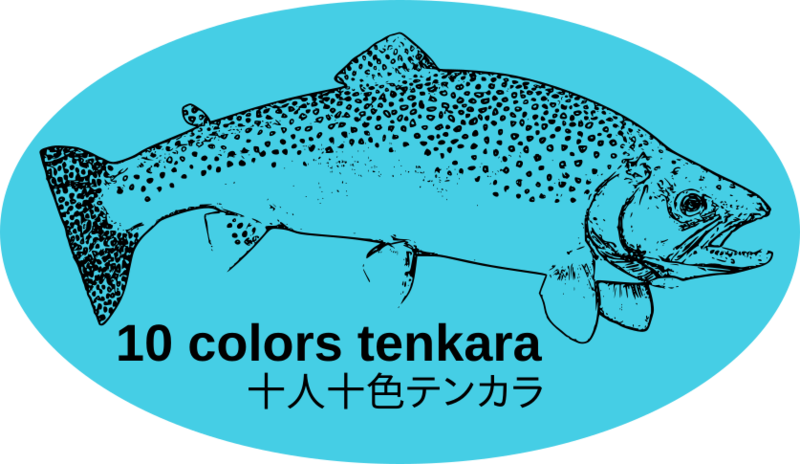 Tenkara USA is now offering these on their website for sale. I believe they cost $15 plus shipping. David, thank you very much for the information and video. Mike, I have ordered things from the Oni-shop a couple of times and the order when received had a piece of fabric included. I thought they were a thoughtful gift of some Japanese print fabric perhaps left over from making rod bags. It wasn’t until I saw the tenugui on the TUSA website that I realized the fabric in my Oni-shop order was a tenugui, a gift meant to share a bit of traditional Japanese culture. One is sakura pattern in burgundy color. The other one is dark blue and white, what I think, is called asanoha pattern. Researching tenugui I discovered another traditional Japanese decorative stitching called - sashiko, 刺し子. (little stabbing, running stitches) Kind of like embroidery, but a little different. Which is frequently sewn in the same patterns printed on tenugui. Currently my wife is heavy into making complicated quilts. taking classes, sewing little triangles into complicated patterns. I’ve suggested she might find it interesting to include some sashiko pieces into some of her quilts. I’ve been trying to learn to sew myself, making stuff sacks, to various designs, out of rip stop nylon. Sewing a straight seam is not as easy as it appears to be. I could never sew any of her quilt patterns. However, each new stuff sack I make is a little nicer than the previous one made, and I’m making some custom fit stuff sacks. All are functional if not exactly pretty. It has been suggested to me that I make the sashiko pieces as a break from sewn seams that aren’t as straight as they ought to be. Ah, maybe. Learning how to tie nets is also on my winter-time bucket list. Net making is another ancient art. Sashiko has an interesting history. Evolving from a way to mend clothing, or to add layers of fabric to make garments warmer in old days. Somewhere I read that in old times there was a saying, “if a piece of fabric is large enough to wrap 3 soy beans it should be kept and used”. No throw way culture in difficult times. I think I may have already watched the first two of those videos, and several others, too. The bottom video is a nice one. The middle video is a young guy, Atsushi Futatsuya, from upcyclestitches website. Who with, I think his mother Keiko, promotes sashiko in Japan and in NYC. A lot of good information about it’s different forms is accessible to English readers on their website, or on their YTC , sashi.co. David, thank you for this information. I think someone also sent me a tenugui and I thought the same thing. I didn’t have a clue about what the fabric would be used for except that it was a nice gesture. I learn something every time I log on to this site. Thank you again, David. Thank you Todoroki-san for the three videos and information. This is amazing!!! Takes a couple of views to follow the sewing directions. Seems doable. Or one could use any fabric of choice of about 33 x 90 cm. Carry your rice home in the DIY bag, then cook the rice inside a tenugui. tontonオリジナル手ぬぐいのご案内 Guide to tonton original tenugui. iow, how it is made. The full process with many interesting patterns hanging in their tall drying area. The 手拭い干場, tenugui hoshiba. Typically 10m ~ 12m in height, the length of the tenugui from the manufacturing process, before they are cut to the length for sell. The room seen in the video thumbnail image. Maybe a greater appreciation about how they are made. Now and again, while searching the internet for Japanese tenkara websites, I stumble upon the blog [道草楽描] of Itō Takashi, [伊東孝志]. He describes his blog as a - sketch diary of a wandering painter. I don’t why his blog shows up once in a while in my tenkara searches, he seems to be mostly a sea kayaking, beach camping guy. I admire his sketching skills, the type of talent I’d like to have. You might enjoy his sketches, too. Even if they are not about tenkara or keiryū fishing. 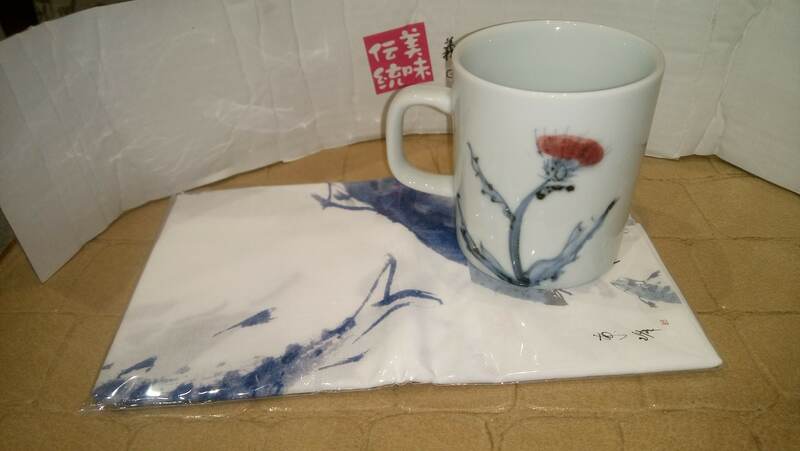 I stumbled upon his blog again today, and decided to read his profile, where he writes he is dedicated to painting, writing, and making tenugui. [てぬぐい作り]. Someone has to make the images for making tenugui. The necessary step needed before doing the chūsen [注染] dying of the cloth. Two tenugui created for a firewood stove company. I also discovered he has a website that sells his tenugui designs. Yadokari House. However, I just wanted to highlight that artist are also needed to create tenugui, and mostly hoped you would enjoy seeing Itō Takashi-san’s sketches on his blog. Someone else made the tenugui. You can also expand the utiltiy of tenugui by making it into something useful beyond the obvious use as a hand towel. Here is a quick and useful one. Easy to remember too. [Trick] How to make a tenugui pot holder. How cool is this tenugui? Ōnishi-san (大西さん) had it custom made in 2014 by the Asakusa Tenugui shop, [Someno-Anbō Asakusa Honten | 浅草 手ぬぐい ・半纏 染物専門店] for a friend to commemorate him catching 1,000 fish. Actually 1,095 fish caught over 65 days fishing between March and November in 2013. About 17 fish/ fishing-day average. Read the rest of the story on the - troutinn blog. A youtube video 染の安坊 捺染 [Anbo Dyeing Print] from the company youtube channel [浅草染の安坊]. A different method from the chūsen [注染] dyeing method shown earlier. From what I’ve read it is easier to make finer details on the fabric with this method. They are printed on both sides, with different colors. Using rolling printer techniques. Quite the trick on thin cotton fabric. As far as I determine only one company has mastered this method. 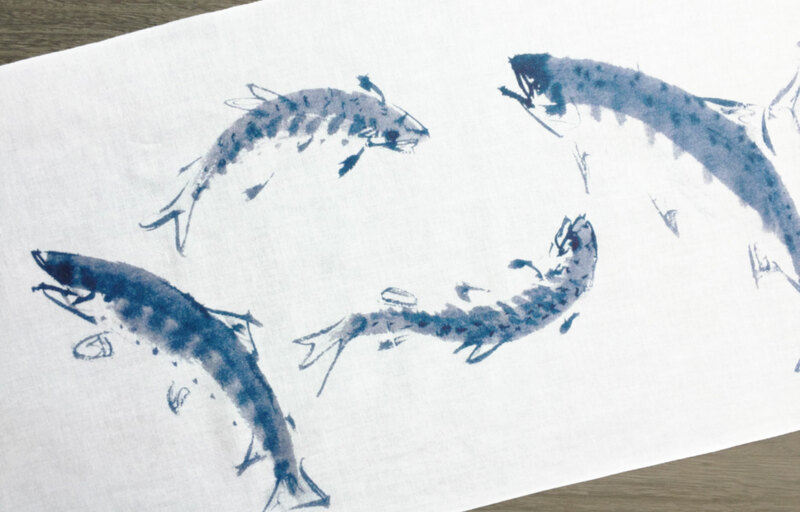 "In fact, 60-year-old artisan Eiji Kakuno [of the textile dyeing company Takeno Senko Ltd.] is currently the only tenugui dyeing expert who has achieved and perfected the process. How it is done. Tenugui Fes production tour. Mystery of the reversible Hirali Tenugui.